I've interviewed a handful of film directors over the past few years, and every single one leaves me wowed at how much a director has to say about the movie and how much passion he or she has for the project. 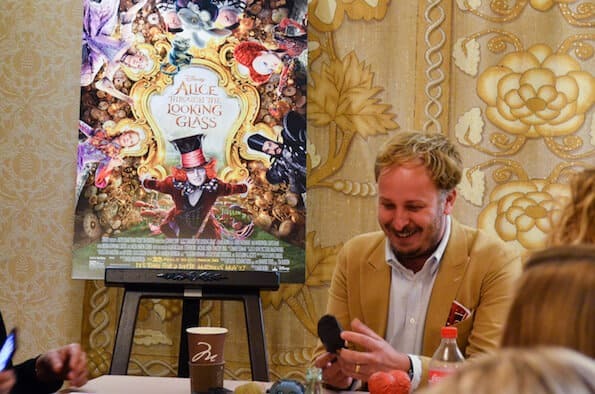 That is definitely true for James Bobin, the director of Disney's Alice Through the Looking Glass. I had the opportunity to interview Bobin on a recent Disney press trip, and I couldn't be more excited to share everything I learned about him and the movie! As you're reading more about the movie, don't miss my post with Alice Through the Looking Glass quotes about time! How did you get attached Alice Through the Looking Glass? I was working for Disney already, I made two Muppets movies for them, and that was really fun. I was on set with an executive and she was talking about things they were thinking about doing. And she mentioned the word “Alice” to me. I jumped at that because I grew up in England and Alice is part of life there. When I found out we were doing it I was really excited. When I read Lewis Carroll as a kid he made me laugh. He has a very witty way of writing and he's very clever with language. I think comedy is often about the specificity of language, and all my life so far I've been making jokes and comedy. So it felt like a very natural thing to use comedy in that world because Tim Burton's thing is so beautifully constructed. that was a really good foundation to start from. But I thought if I came onto the project I could bring some of that British comedy back, which is hopefully what you see whne you see the movie. It needed to be different. I think sequels need to be different. It's nice to pay tribute and respect the origins of the story and the characters, but people want to see something new or something with a new feel or tone. You'll notice that the design is different. The palettes are a little bit brighter. The story itself is much more about the human relations and the family. We have a lot more photo-real design. Was Sacha Baron Cohen your first choice as Time? When you work with someone as brilliant as Sacha you always try to think of ways to get him involved in things you're doing. He and I worked together on Borat and The Ali G Show and Bruno. To do that job you have to create characters that live in the real world. And Time is a powerful character who's quite fun to undermine immediately by making it obvious that he's a fool. Sacha is very good at playing sort of an over-confident idiot, so Time was a very good choice for him. The character of Time is all about how he holds himself, his walk, how he sits, and Sacha could pretty much do anything. We thought that Time as a concept is a swiss idea, and in Switzerland there are French and German languages. German is a very precise language, and we thought that would be good for Time. What was the most challenging aspect of Alice Through the Looking Glass for you? For me, the story was the most challenging, because it's not the story of the book. I knew it would never be because I loved the book very dearly. Even as a kid I realized it's quite unusual because Lewis Carroll wasn't that concerned with narrative. He's about imagery and ideas. The book is full of cause and effect, so I knew the story would be a new story. I knew the writer had an idea about time travel based on the characters from Alice in Wonderland, but at the same time I wanted to pay tribute to the book. The book is incredibly important. Lewis Carroll is very important to me. I wanted to take elements of the book like the looking glass and keep them in the spirit of Lewis Carroll. I'm hoping that even kids may be ahead of the story in some ways. That when Alice works it out in her head kids already know that stuff, which is great and very satisfying. You have such a clear appreciation for Lewis Carroll and his books. I noticed at the beginning of the movie the pocketwatch had “Carroll” on it. Did you pay tribute to him in any other ways? 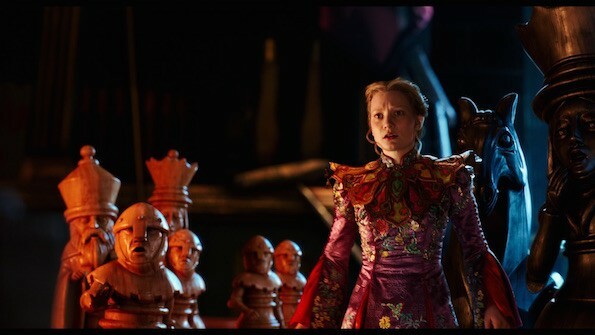 When Alice goes into the backwards room for the first time with the chess match in progress, the chess match is in the original book, Alice Through the Looking Glass. In the very beginning of the book prior to the title page there's a layout of the chess game in progress. The pieces in the movie are in the same position as they are in the book. The mantlepiece clock in the backwards room is the same clock that the illustrator drew in 1871. Other things I want people to notice are bigger Alice things. When The Red Queen bumps her head the first thing she sees upon coming around is white roses. That's the sort of thing I really like. I loved the quotes and one-liners in Alice Through the Looking Glass. Was there anything special in your process that helped you come up with them? There was already a script when I came on the movie. The story was pretty much intact. It was really just trying to push the script in certain directions to bring out themes of the movie. Often the way themes work best is if you have lines that are going to work and stick in your brain. 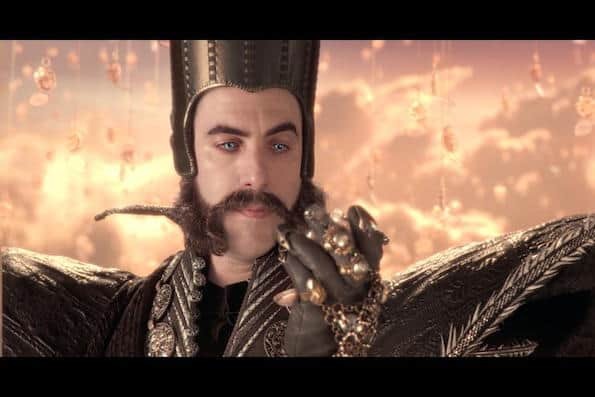 So you want to stay on point, and Time is a very important character in Alice Through the Looking Glass. He has great moments of wisdom when he says you can't change the past but you can learn from it. It would be amazing if people took that – that you can't change the past but you can learn from it — from the movie. It's really just trying to say things in a way that's memorable without getting hit over the head with it. Go see Alice Through the Looking Glass and see the magic that James Bobin has so passionately created! 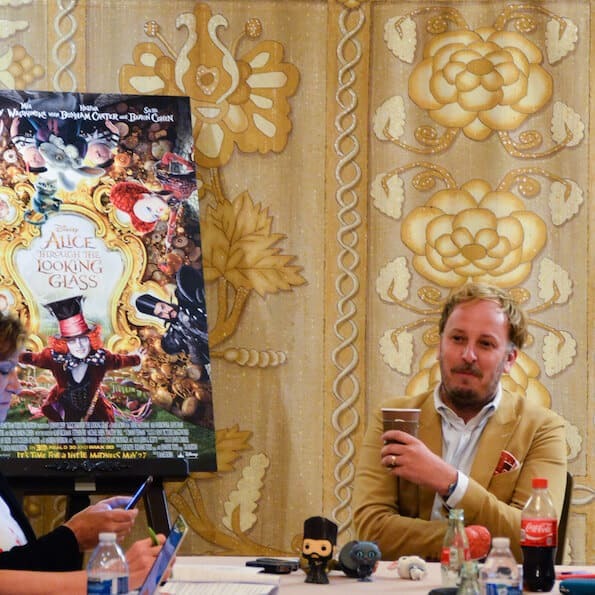 Read my exclusive interview with Suzanne Todd, the producer of Alice Through the Looking Glass! Read my exclusive Mia Wasikowska interview. She plays Alice in Alice Through the Looking Glass! See my entire experience on the red carpet of the Hollywood premiere of Alice Through the Looking Glass! 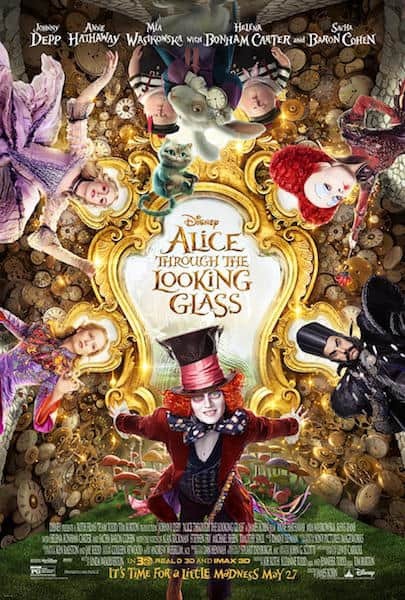 Disney's Alice Through the Looking Glass is now in theaters everywhere. Get your tickets today! 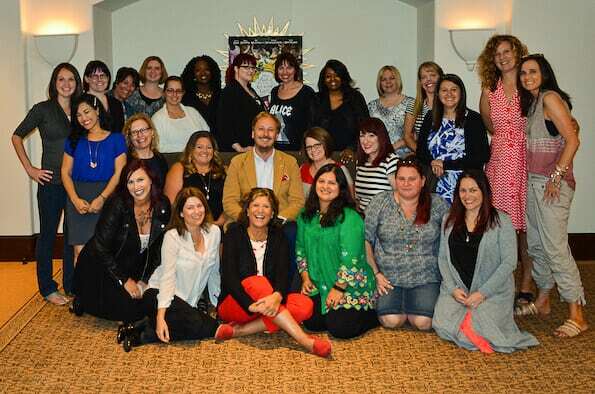 Disclosure: Disney flew me to Los Angeles to participate in this and other events. Most expenses were paid by Disney. All opinions are my own.